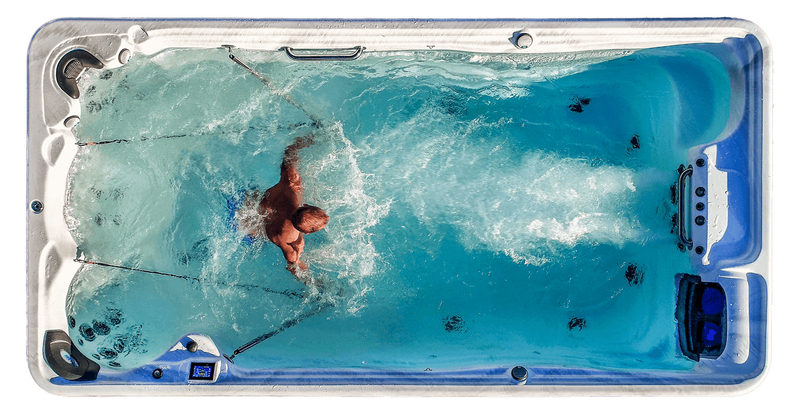 Built to the same world-class standards in quality that Artesian Spas are famous for, the TidalFit Exercise Pools are in a class of their own. 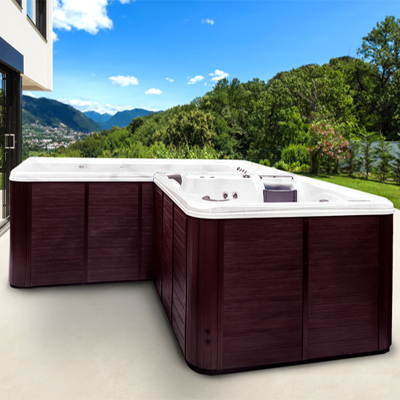 The craftsmanship and stunning design of the TidalFit Spas are not the only compelling aspects, they are robust, energy efficient and offer unique options to cater for each individual taste. 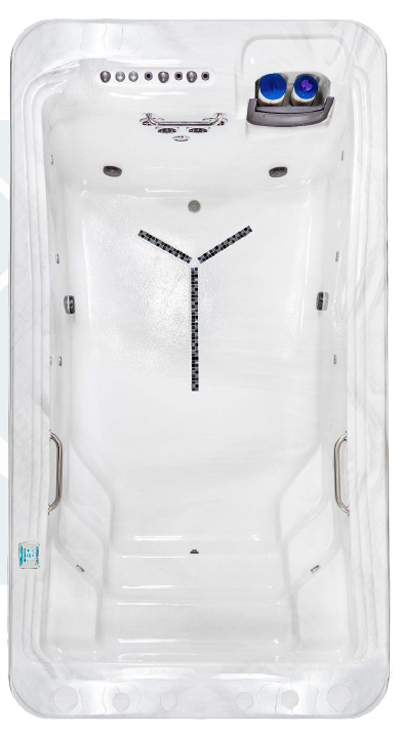 With five unique models, there is a TidalFit to suit everyone. 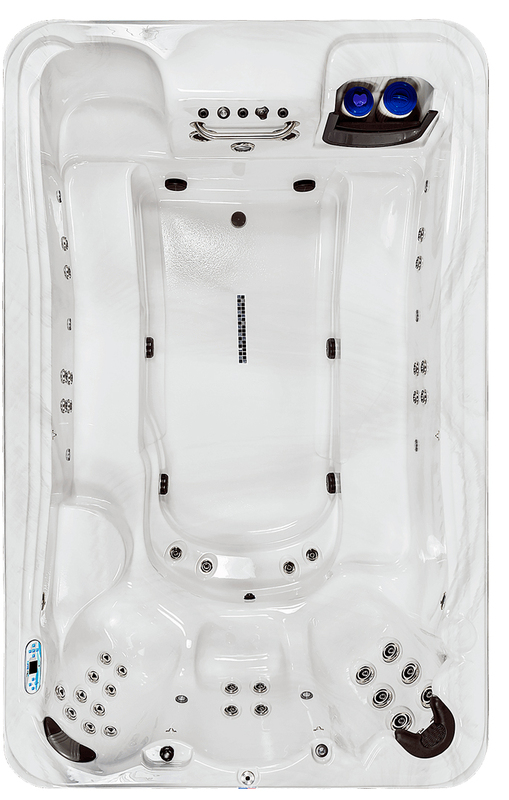 Each model features its own individual swim system, each created with varying degrees of power and adjustability. In addition to this, you are able to customise your TidalFit by choosing your hydrotherapy and training equipment options. 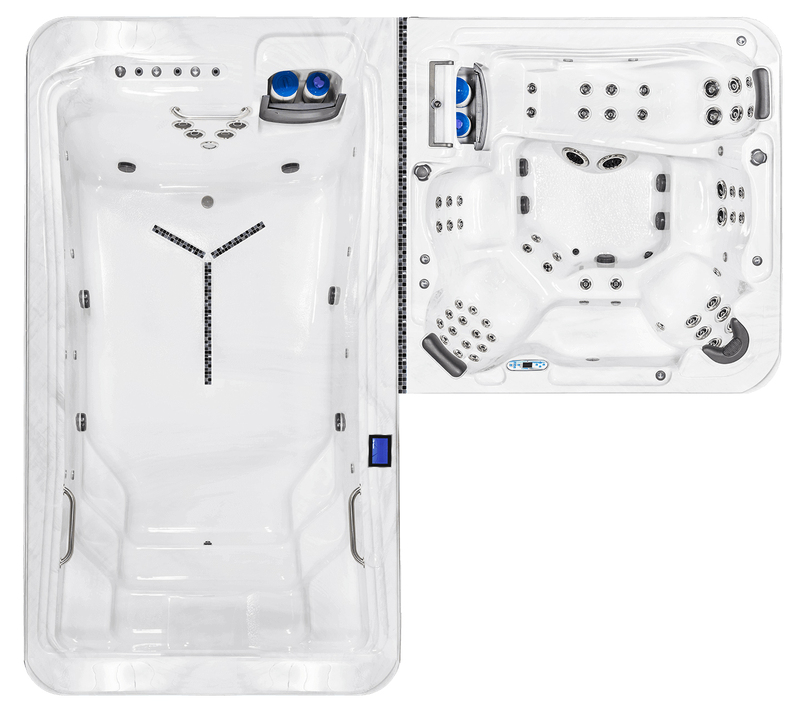 Further options include our revolutionary purification system for crystal clear water and our innovative stereos, WiFi spa control and lighting for the Ultimate Swim Spa Experience. 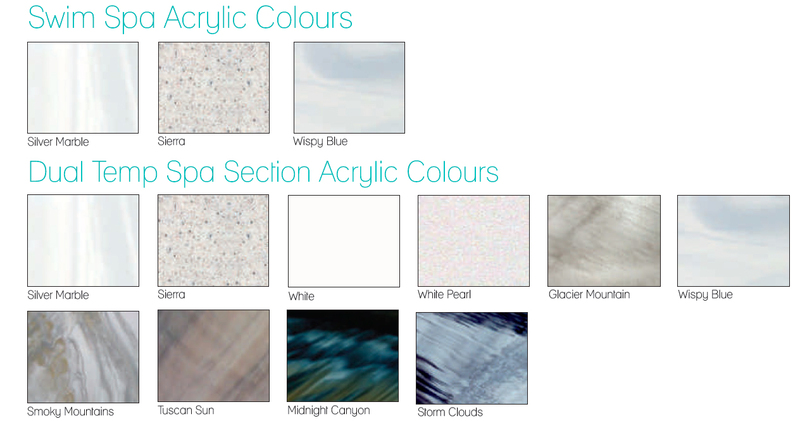 You get to pick the model and options that perfectly suits your requirements to have your very own bespoke TidalFit. 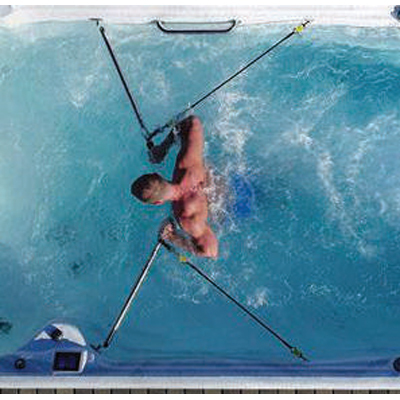 Built to professional standards, TidalFit Exercise Pools are the ultimate way to swim and work out in the comfort of your own home. 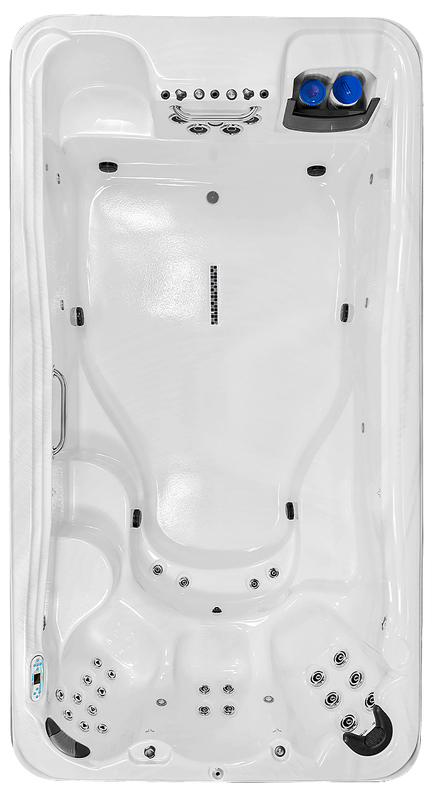 We have five unique models with different swim systems providing varying degrees of power to accommodate everyone, no matter what your swim strength. 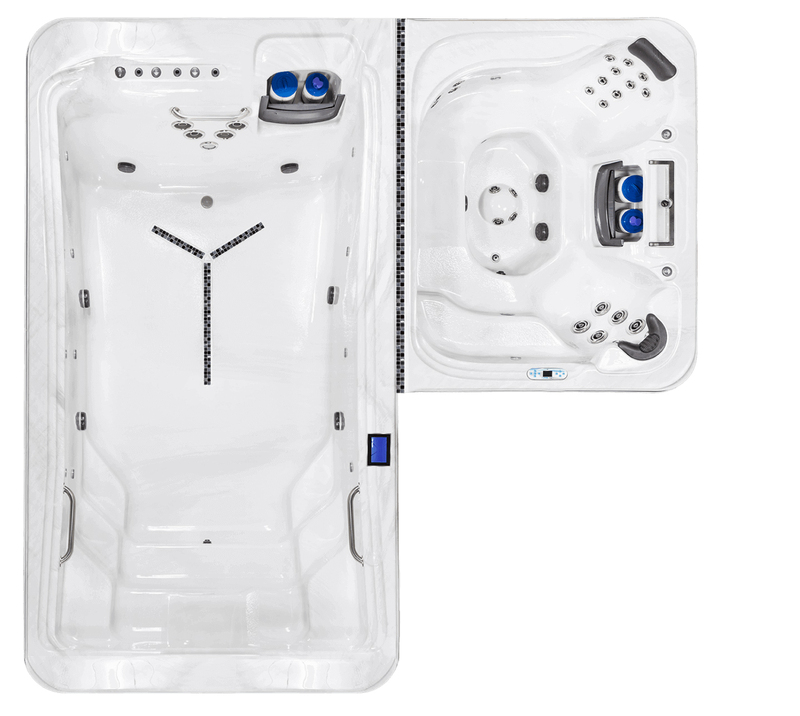 The ActivePlus EP-12 features a Dual Swim Jet system creating a medium current that is perfect for families to enjoy together. The Premium EP-14 and Pro EP-15 TidalFit models have Quad Swim Jets providing a stronger swim current that can be fully adjusted to halve the power, perfect for varying degrees of ability. Our DT-13 and NEW DTL-14 also feature a Quad Swim Jet system. By combining our world class exercise pool with a choice of hydrotherapy spa, we have integrated both into one unit to give you the ultimate swim spa experience. For an even stronger swim, why not add the new Variable Flow Swift Water Trainer which is perfect for professional swim training. 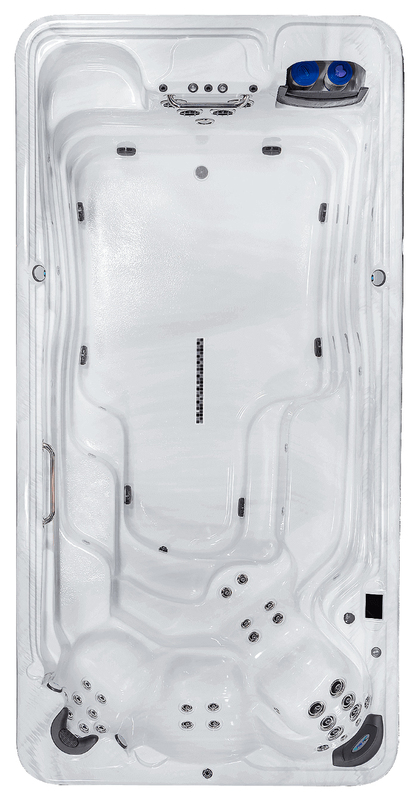 TidalFit by Artesian Spas are proud to introduce a new unique concept for a Dual Temperature Swim Spa. 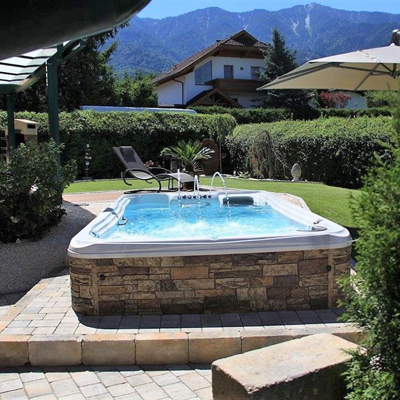 For many years it has been difficult to find the perfect spa and exercise pool combination with limited choices available. 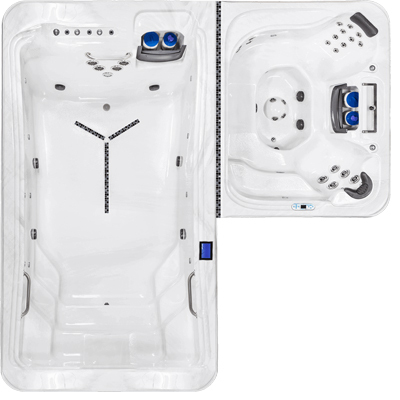 The new TidalFit Dual Temp range overcomes this by combining a separate Exercise Pool with your choice of Hydrotherapy Spa, seamlessly integrated to create a 19-foot or 21-foot Dual Temp Swim Spa or a beautiful L-Shaped Dual Temp Swim Spa. 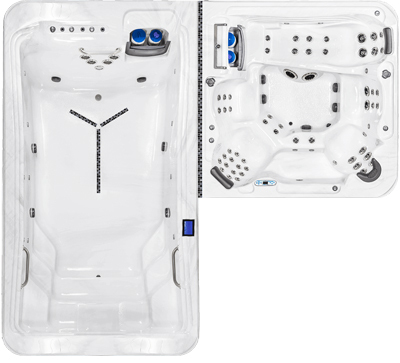 Each side offers separate temperature, jet and lighting controls and offers all of the premium quality features found in our other TidalFit and Artesian Hydrotherapy Spas. 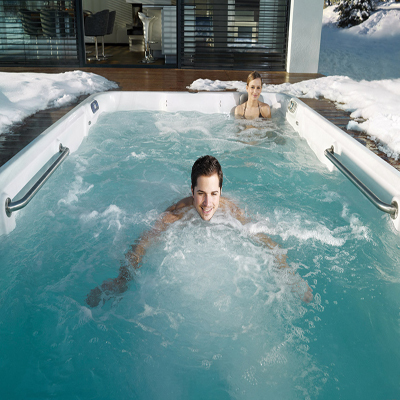 There is even the option of having the TidalFit Dual Temp Swim Spa as a semi-in-ground version. Partially sunk into the ground, this customization option is top rated for energy efficiency. 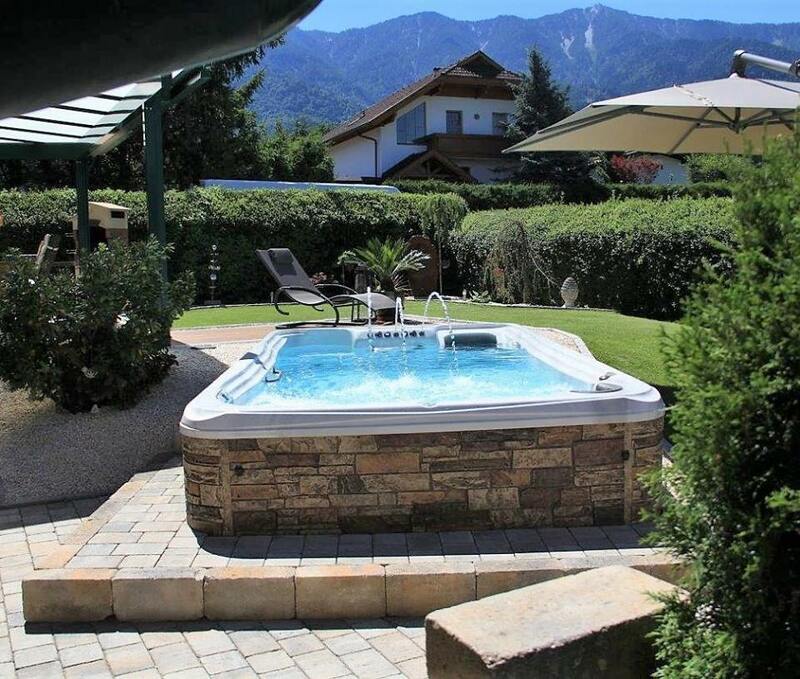 Able to beautifully blend into your existing landscaping, the Semi-Inground Installation option also allows for the Rock Cabinet upgrade.